Get rid of that old skin and make way to glow, girl! 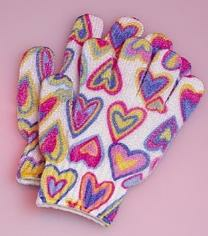 These nylon exfoliating gloves will lather up so you can cleanse, massage and polish your bod from head to toe. (you get a set of two, so you may want to let your man borrow one). One size fits all.